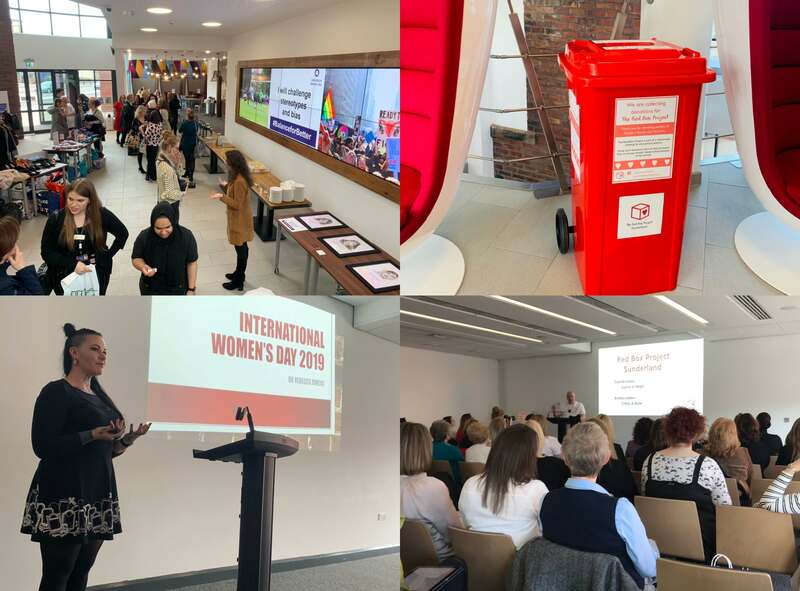 On Friday 8th March we celebrated International Women’s Day (IWD) with a fantastic group of inspiring, empowered women who helped us fulfill the theme of this year’s IWD campaign, Balance for Better. Our celebratory event showcased the inspirational stories of women who have come from disadvantaged, complex or difficult backgrounds, faced barriers to education and work and overcome personal tragedies to achieve success. We also heard from several brilliant charities who help girls and women across the UK to achieve in spite of difficulties they may face. Many of our speakers shared their own personal stories in a frank and open way that prompted laughter, and ten tears, from the audience. On the day we also collected donations for three fantastic charities, Smart Works, The Red Box Project and Sunderland Food Bank. Thanks to the amazing generosity of our guests we collected over 40 bags bursting with clothes, shoes and accessories for women to wear to interviews, a wheelie bin full of sanitary products for girls facing period poverty and lots of food for those in need of support at the food bank. Katy Sawyer, Event Coordinator for Hope Street Xchange, dropped off a Red Box full of sanitary products, tights and wipes for girls at The Link School in Pallion. The Link School is an alternative learning provider working with children across key stages, 2, 3 and 4. Girls attending The Link School have been removed from mainstream school, and often do not have access to the support and products they might need. Hope Street Xchange has become a permanent donation point for The Red Box project and will continue to support boxes across Sunderland. Our donation to The Link School featured in The Sunderland Echo. Read more about it here.